The rabid zealot could radicalise people and imperil peace. It is very disturbing to know that Islamic hate preacher and rabid religious fanatic Zakir Naik is in Malaysia. The immediate question that arises is why has Naik relocated to South East Asia at this point in time? Saudi Arabia, with its strong Wahabi ideology, has always backed Islamic extremists with moral and material support but Riyadh has of late been shifting abettors of ultra Islam to safer locations instead of harbouring them on the Saudi turf. This is quite obviously being done to keep its own theatre of fundamentalist and terror-linked activities - detrimental to global security interests - far away from its home ground. Yet it is sponsoring activities from different locations like a proxy-driven psychological warfare. One must remember Osama Bin Laden was not sheltered in Saudi Arabia based on a calculated design and was subtly shunted off to other locations. Yet he continued to receive all kinds of support from Saudi Arabia in promoting Islamic fundamentalism and terror related activities. It would appear from these developments that Saudi Arabia and its affiliates would like to use Islamic countries such as Malaysia and Indonesia as the new hub of terrorist activities with a well-crafted and sinister strategy. This strategy aims to use vulnerable Islamic countries to propagate a radical form of Islam, indoctrinating the moderates to try and convert the country into an extremist state. The timing is also perfect and well-thought out tailored to Zakir Naik's line of thinking. Islamic State (IS) is on its way out relegating the dream of a Caliphate to a mere utopian concept, particularly after the fall of Raqqa in Syria and Mosul in Iraq. Militarily, IS is seeing an imminent defeat or a complete rout. IS supporters and the likes of Zakir Naik are making a last-ditch effort to keep the IS ideology alive. And precisely because of this, they will choose countries practising moderate Islam as fresh targets to thrive upon. Malaysia, reeling under severe pressure of the local Islamic ultras, not only agreed to grant refuge to Zakir Naik but also immediately granted him permanent residency. It's evident that all plans are working with surgical precision as part of a blueprint whose die is cast possibly in Saudi Arabia. Although deputy prime minister of Malaysia, Ahmad Zahid Hamidi, disclosed recently in the country's legislative house that Zakir Naik is not being given any preferential treatment, his statement is far from true. Zakir is receiving VIP treatment from all and sundry. He is moving around with an armed bodyguard and is offering his "namaz" in the most privileged mosque - Putra Masjid. In effect, his visit to this elite mosque is sending signals to thousands of Malaysians about how important Zakir Naik is. Senior officials in Kuala Lumpur were seen embracing Naik treating him like a hero and social media is full of photos and news covering this rabid zealot. A photograph of Malaysian Prime Minister Najib Razak with Zakir Naik has also surfaced on Facebook. Naik has already drawn huge mileage for his cause by being in Malaysia. He must be made to account for this before it's too late. Also, there is a sizeable Indian population - including many Muslims - in Malaysia, which will remain vulnerable to Zakir Naik's inimitable style of rhetoric, combined with acrimonious hate speeches, strengthening communal forces currently being encouraged with Naik's presence. A silver lining, however, is visible with a group of Malaysian activists filing a law suit in the country's court pleading for Naik's deportation describing him as a threat to public peace in a multi-racial country. Civil rights groups and local intelligentsia must support these activists and create a favourable public opinion against Naik so that people in general start despising him intensely for trying to divide the Malaysian society on communal lines spreading hatred. It is imperative to call for an effective counter-narrative as Malaysia's principal opposition party, PAS, which is openly supportive of Naik, has appealed to the government to ignore any potential move by the Indian government to initiate extradition proceedings against Naik. 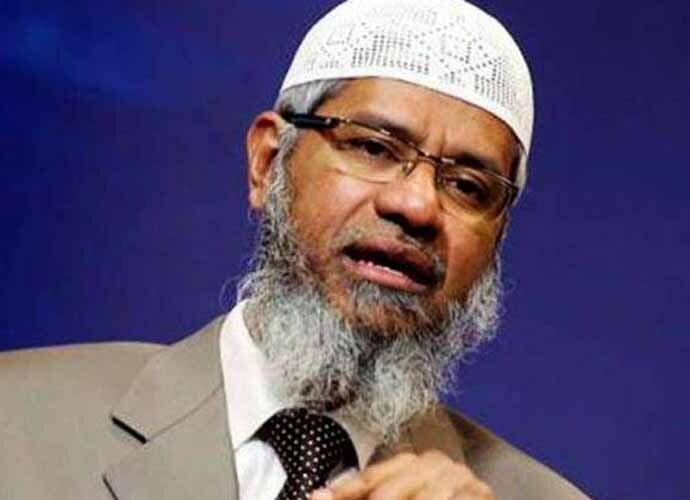 They argue that allegations against Naik are to contain his influence and efforts to spread religious awareness among the international community. Another significant implication of Zakir's moving to Malaysia is the profound impact it is likely to have in southern Thailand. This region has remained communally volatile and buoyant with turbulent Islamic terrorist activities. The separatist Islamic forces will get a definite boost from Naik through his fervent and passionate speeches with Malaysia, being in the closest possible proximity of Thailand. Places such as Surat Thani, Hat Yai, Narathiwat, Songkran, Pattani etc need special attention. Thailand would do well in tightening its border control by not only stopping Zakir Naik from entering the country and speak at these places but also try to stop smuggling of inflammatory literature, inspired by Naik, emanating from Malaysia and eventually getting its way elsewhere. Further, Singapore is known for its tough counter-terror measures but the presence of Zakir Naik in the immediate neighbourhood may embolden Muslims in Singapore to listen to Zakir and get allured by his oration. Given the professionalism of the government of Singapore, it is expected that they have stepped up their intelligence and are taking all possible measures to pre-empt any untoward development. On India's part, it would be desirable if the country continues to press for Zakir's extradition at the earliest. It must also take Singapore, Thailand and other ASEAN countries onboard to mount pressure on Malaysia to expel Nail from its soil in the larger interest of peace. Indian High Commission in Kuala Lumpur must be extra active in gathering hard intelligence against Naik and his activities, that threaten Indian security interests. In addition to the above, the good offices of the Commonwealth Secretariat must also be used to prevail upon Malaysia to return Zakir Naik to India without any further delay to face criminal and sedition charges. Urgent measures to contain and prevent terror in the region are needed and unless all stakeholders pitch in, the results could be disastrous and devastating. The author is a retired IPS officer who has held key positions in the Government of India handling sensitive security issues within and outside India.